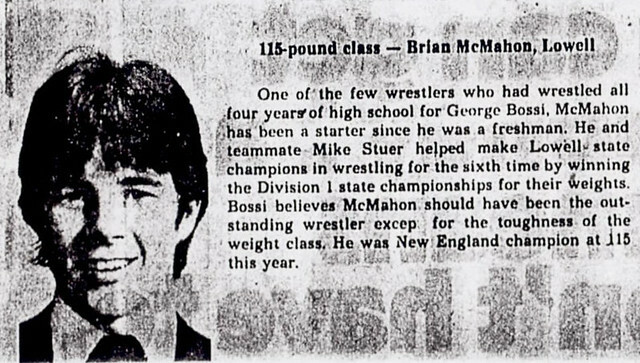 Overcoming troublesome leg and hip problems as a youngster, Brian McMahon joined Hall of Fame Coach George Bossi’s Lowell High School wrestling program as a freshman and proceeded to become one of the rarities: a four-year varsity performer for the Red and Gray. 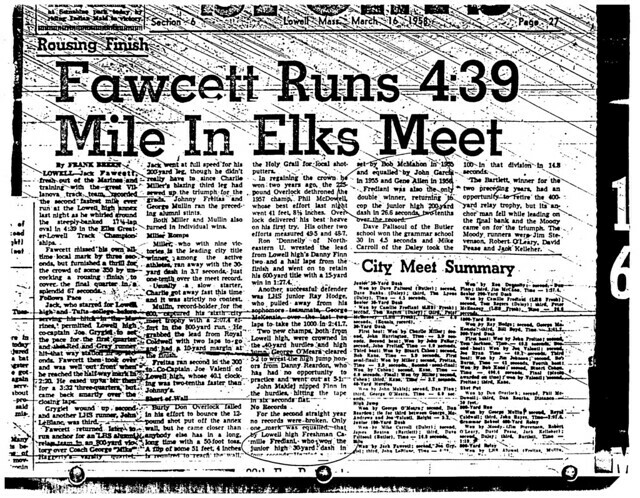 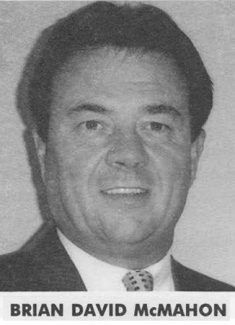 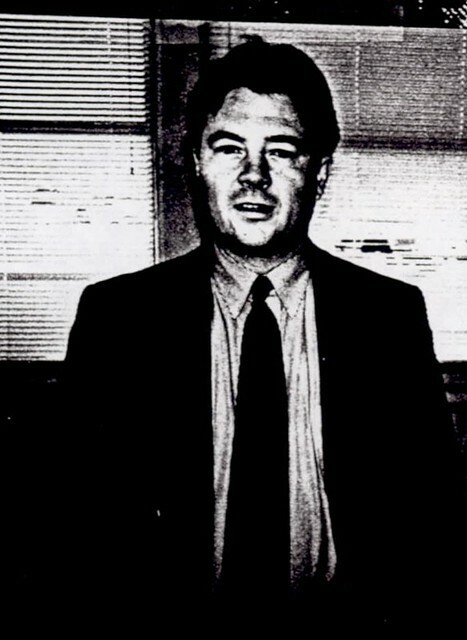 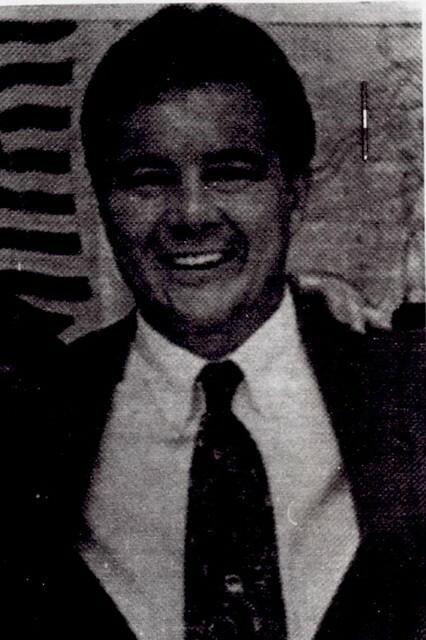 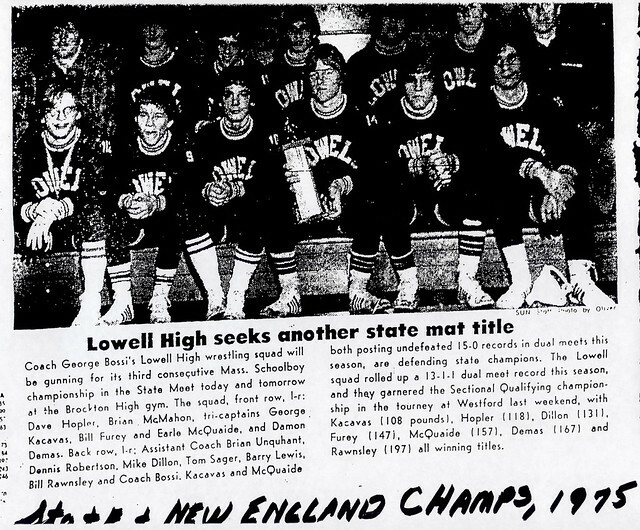 Brian was a member of the Raiders Massachusetts State Championship team during his freshman year (1974–1975) and was part of Lowell’s impressive 44-meet win streak that spanned several seasons. 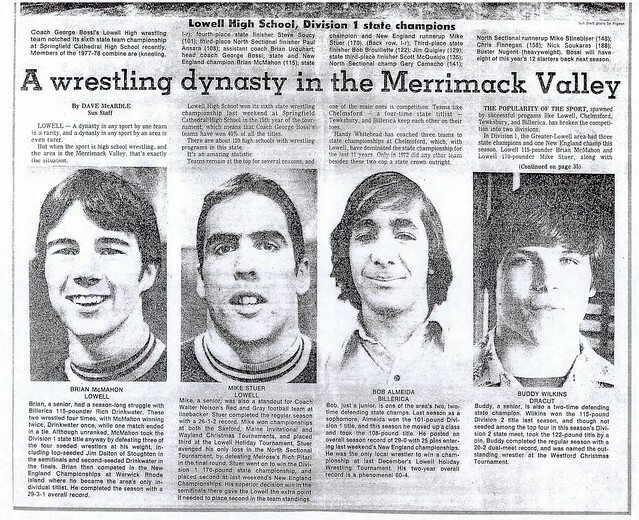 As a junior (1976–1977) Brian included a 1st place finish at the prestigious Wayland Christmas Tournament among his accomplishments. 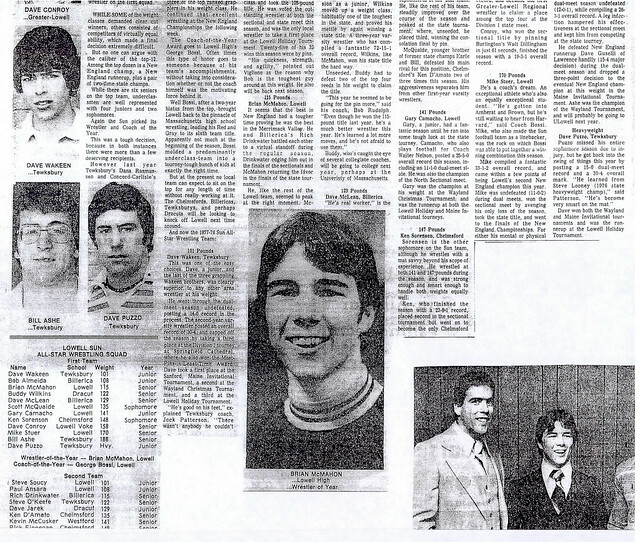 As a senior Co-Captain in 1977–1978, Brian enjoyed an impressive season as he helped lead Lowell to another Massachusetts State team championship, book-ending the one the Raiders won during his freshman season. 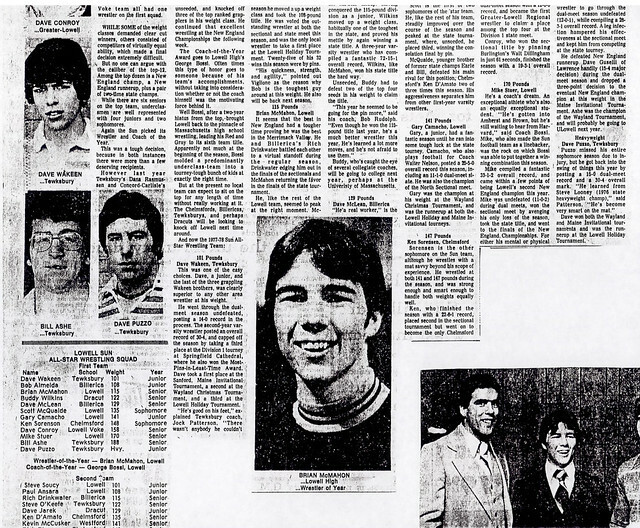 Compiling an overall individual record of 29–3–1, Brian put together an improbable post-season performance. 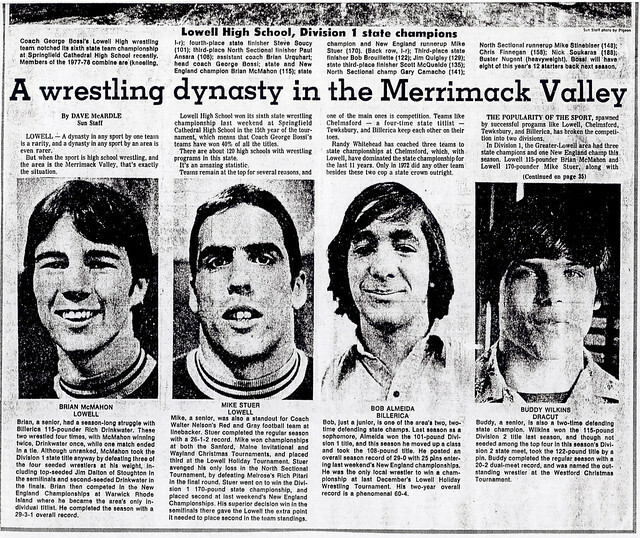 After finishing 2nd in the North Sectional Championships, Brian defeated 3 of the top 4 seeded wrestlers en route to winning the Massachusetts State Championship at 115 pounds. 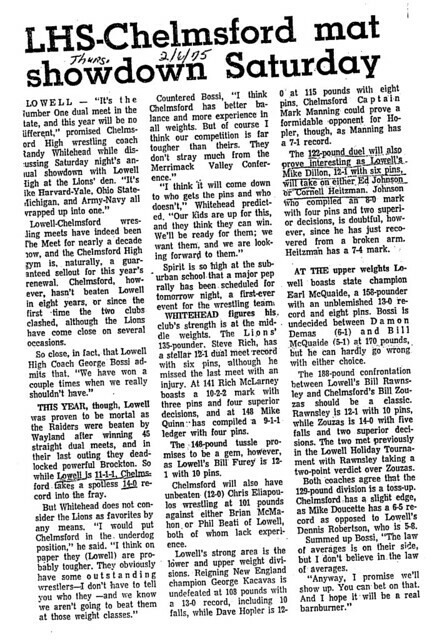 Not content to finish there, Brian advanced to win the 115-lb. 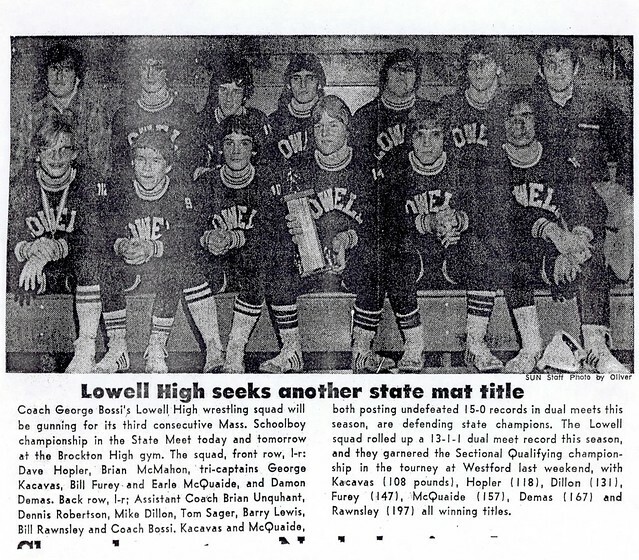 Championship at the New England Tournament as well. 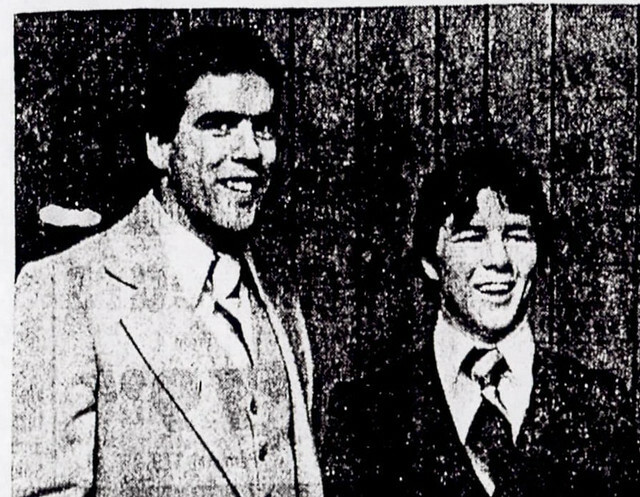 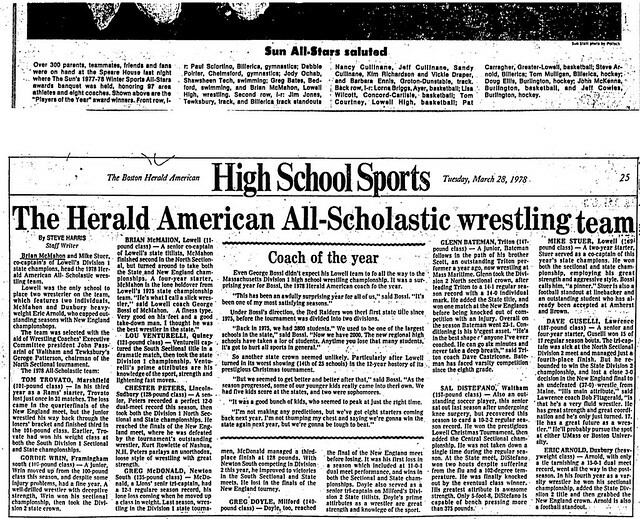 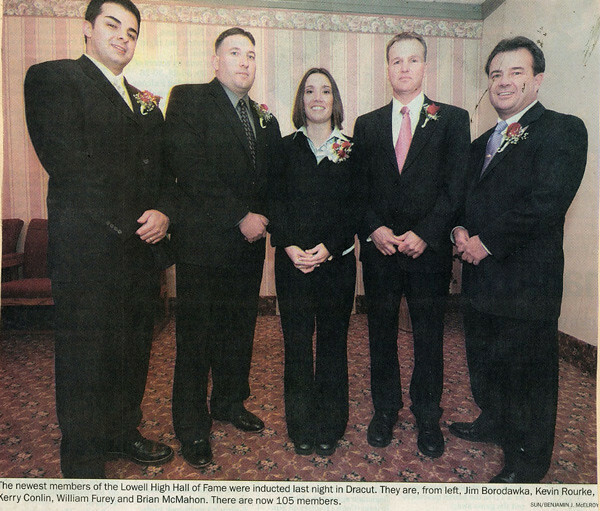 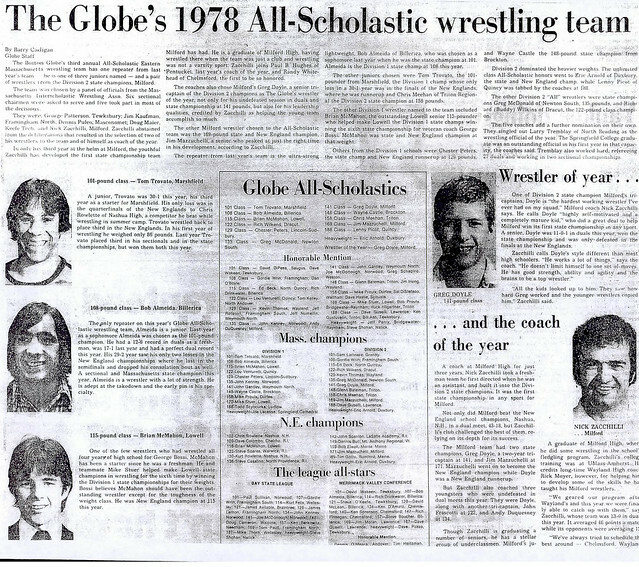 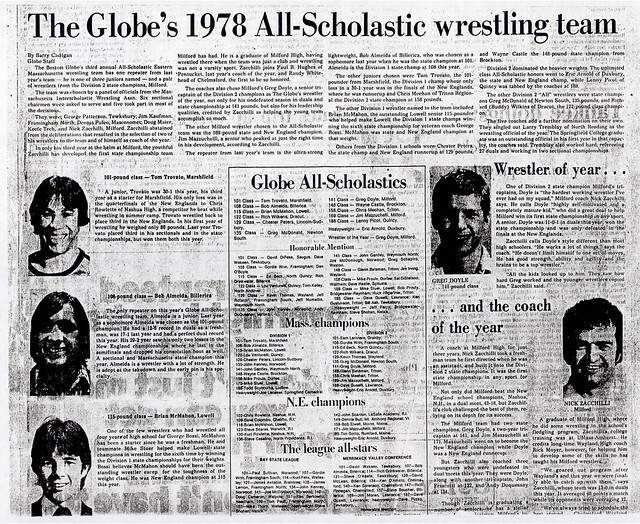 Referred to as “…the best wrestler in the state” by the knowledgeable Coach Bossi, Brian was named to both the Boston Globe and Boston Herald American All-Scholastic teams following the 1977–1978 season, as well as being named as the Lowell Sun’s Wrestler of the Year.